After interviewing some candidates for a vacancy it is easy to start getting confused about how the candidates compare to each other. If you have used the template for capturing information during interviews Job Applicant Interview Record then you will have a stack of records from those who have interviewed the candidates you are currently considering. How to bring it all together? Edit the column headings in this template to match the key criteria that you have used in your Interview Records for this vacancy and use the average scores that each of the candidates have obtained from interviewers when you create this summary. The Totals column should automatically be adding up the overall score for each candidate so you can see how the scores compare and which candidates have scored better than others. This template is useful to the recruiter in advising the Hiring Manager on the outcomes of interviews in order to plan the next steps for that vacancy. 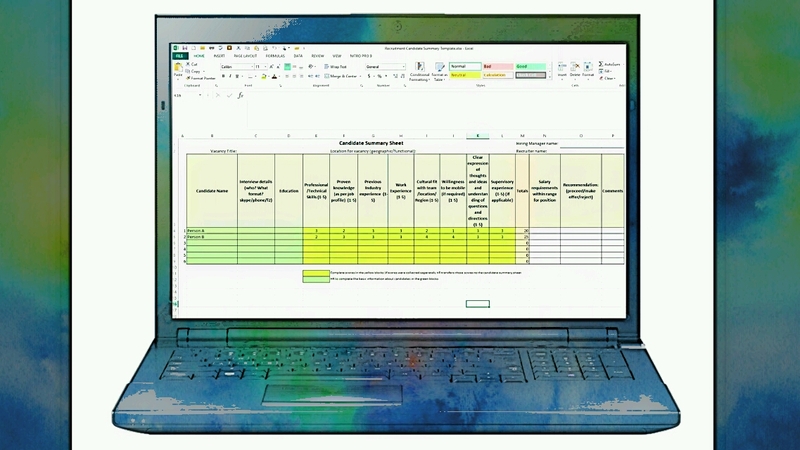 You can add a row for weighting specific criteria in the spreadsheet. For example if you believe that one of the items is much more important than the others – could be language skills, or supervisory experience – you can decide to give it a higher importance by adding a higher “weighting” to it. (All of the weights for each of the rated categories together should add up to 100) See this version of the template to help you understand the difference Weighted Category Job Candidate Summary Template The overall scores are now created by multiplying the score for each category with the weighting that you have assigned – based on the higher importance of some items. (Contact me if you have more questions about this one). The Job Candidate Summary template can help you create one simple document which contains all of the feedback received about a candidate during the interview phase. And this greatly benefits a focused discussion about next steps with the Hiring Manager. At the end of a successful recruitment process you typically have an accepted job offer by a job candidate with the right skills, mindset and experience. That is when you should start the first activities related to successfully on-boarding the new hire into your company. You have to ensure that you stay in touch with the new hire until he or she arrives at your location on the first day of employment and you must make sure that the on-boarding program goes well from the perspective of the employee and the Hiring Manager. 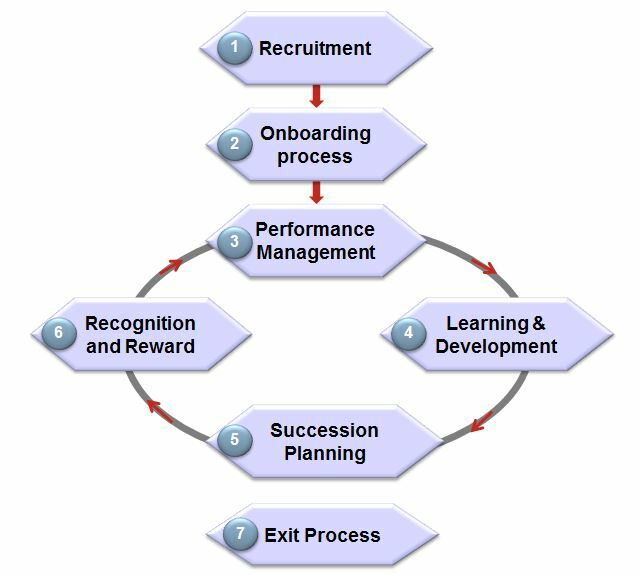 A successful on-boarding process ensures that a new employee is able to deliver top performance (creating value) as fast as possible. The first day often includes the completion of forms and introducing the new employee to his or her surroundings and colleagues. And these activities may continue for several more days where introductions may include representatives from suppliers, partners and customer organizations. The first few experiences of the new employee also typically includes the handover of equipment that is to be used to perform the duties and tasks assigned to the new hire. This could include a desktop or laptop, maybe a mobile phone and any other items that are important for the role he or she would fulfill. Coordinating all of these activities and documenting the on-boarding plan is often the responsibility of HR. This template helps you to keep track of all of the information to be shared, documents to be signed or handed over and introductions that should take place for a specific new hire. On-boarding for sales people may be different than on-boarding for a Subject Matter Expert (SME) who may work in R&D. A new sales person may have more customer meetings included while the R&D person may need to be introduced to lab procedures etc. Customize the list as needed to ensure it is right for the new employee you are bringing into your company or group. I would say the signing off by the manager and new employee is optional – depends on your company culture and how you would prefer to run things at your office. The important part is THAT you have a structured process to bring someone new into the company and that this process is run in a consistent manner. That way you can be sure that each new employee has received all of the support needed to as quickly as possible understand the way things are done at your company and who to talk to about specific topics and ideas. This is a vital part of ensuring the newly hired employee gets to the top of their performance potential in the shortest possible time period and feel welcome – engaged – from day 1. One of the toughest things to do is compare multiple job applicants after the interviews you had with them. In principle it seems simple, but there are several articles detailing how various forms of bias can creep into your comparisons and impressions of a job applicant. For example… most people tend to like more and therefore hire people who are more like they are. And it is also true that we often have a “feeling” of whether we like someone or not within the first 5 minutes of the interview. Trying to ignore these unconscious biases or whether you liked the candidate or not is tough to do without more structure around capturing your interview results. The template is a way for you to be more focused on data gathering during the interview process. Do not try to make the decision about whether or not to hire a person during the interview. Just focus on gathering data. 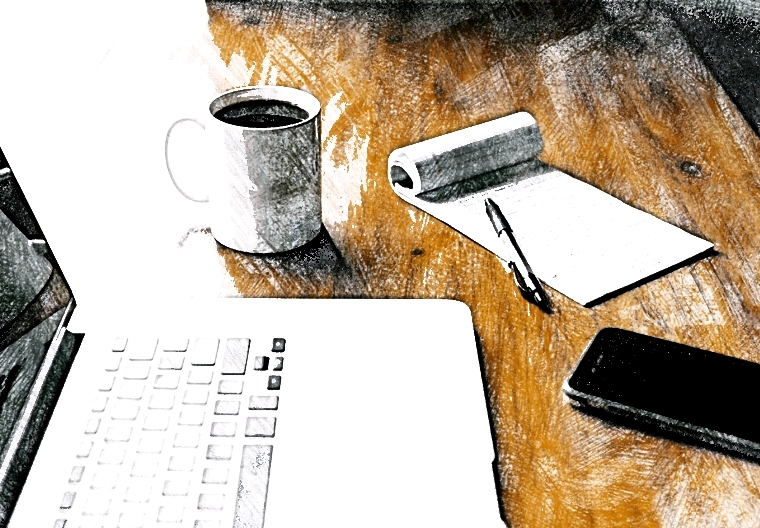 A structured interview record can go a long way towards helping you do just that. To customize the template for your particular vacancy look at the first column and compare it with the job profile – what do you really need this person to be good at and have proven experience in? Capture those areas in the first column. Ask all of the job applicants the same questions and rate their answers in the second column – or during the interview or just after the interview to ensure the responses are still clear in your mind. If you don’t have enough time to cover all of the job profile areas that you would like to gather data on, consult with other interviewers and suggest that perhaps they start at the bottom of the page and work their way upwards. Have all interviewers use the same interview record sheet to ensure a consistent process of gathering data in specific critical job performance areas for the vacancy you have. When you are ready to evaluate the job applicants based on interview results be sure to look at the written scores and do not be tempted into changing scores during the discussion. The objective is not to make any interviewer’s scores “wrong” or “right” but to understand why any interviewers found some responses less credible in critical areas.